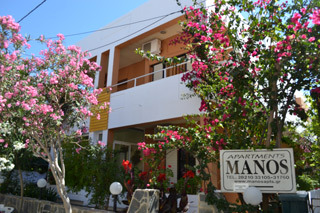 Manos Apartments are 5 kilometers away from the center of the city of Chania , 15 kilometers from the airport and 10 kilometers from the port of "Souda". The exact location is marked at the map having direct access at the beautiful beaches of Chania. 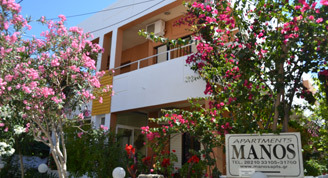 The apartments are located at "Kalamaki" of Chania, 40 meters from the sea with sandy beaches ,in a quiet and hospital environment where you can enjoy your vacation from April to October with all the necessary comforts.